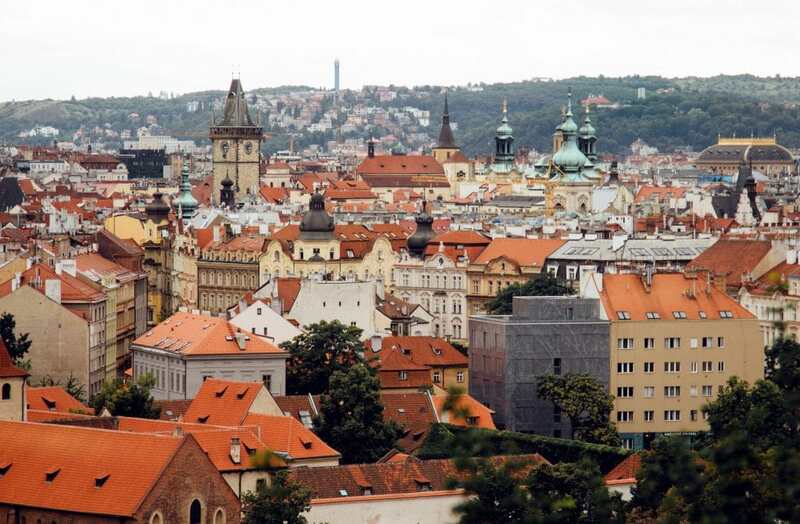 Our days in Prague have revolved around finding the best views of the city. During our quest, multiple sources led us to Letna Beer Garden and it’s since become a daily sunset ritual. Letna Beer Garden is just outside of Old Town, located within Letna Park. It overlooks the entire city; the view is incredible and the beer is cheap. Wooden benches line the property and a small, simple concession stand serves a few types of beer, wine and snack food. 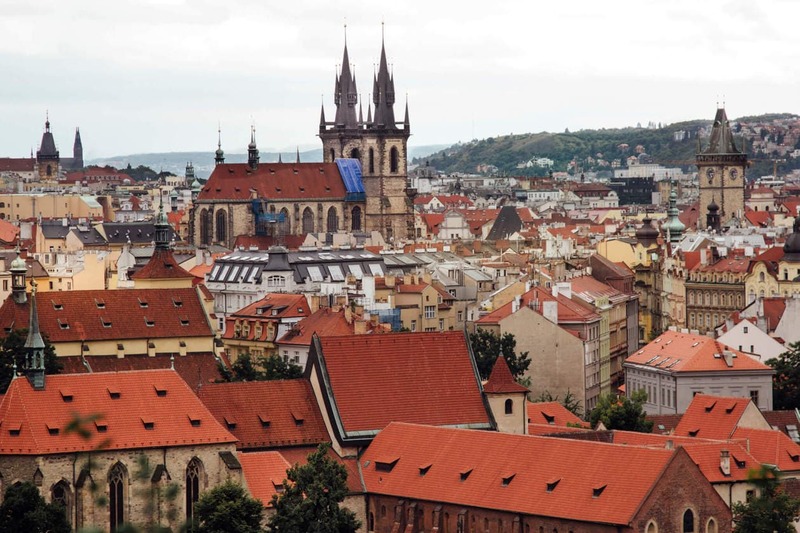 The Czech Republic drinks more beer per capita than any other country, and this is the place to partake in the local past time. The beer garden is kid friendly and has a play area for children. Beers cost between 35-45czk ($1.45-$1.86), and they also serve wine and shots of hard alcohol. As for food, there are a few meat dishes on the menu, plus french fries and fried cheese. Fried cheese is a popular local Czech dish and this was the first place we tried it. It wasn’t amazing but we honestly didn’t expect a whole lot. During the weekend, a kebab stand opened up so there was a bit more variety. Still, I wouldn’t go up expecting a full, delicious meal. It’s more of a snack bar. There are no waiters or staff (besides the women at the concession stand), so you can also bring your own picnic. The best part of Letna Beer Garden is the view. 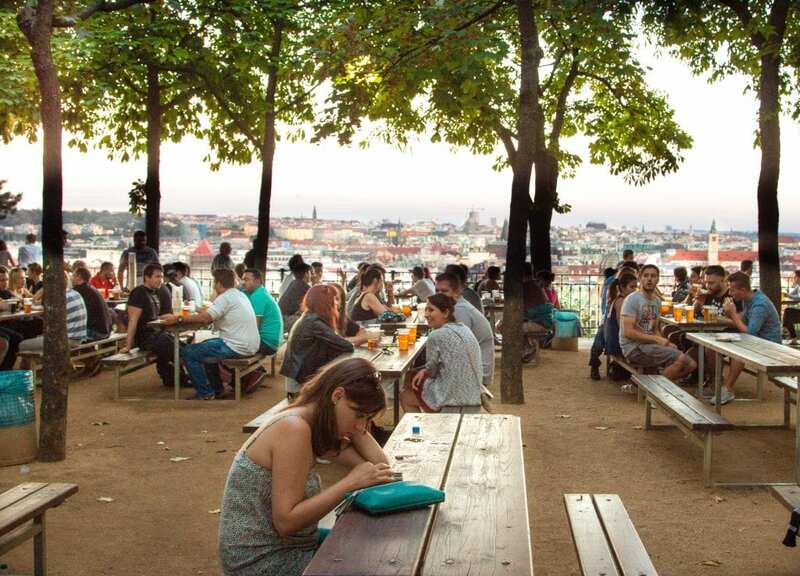 Drink your Pilsner overlooking a breathtaking panorama of the entire city. We preferred to head up at sunset, to watch the sun go down over Prague.